Right across the USA, there are unique challenges presented in workplaces for height access. And while a lot of these challenges are solved by the use of standard products, there is often a need for something more specialized. When the need comes up, it's tempting for contractors to take shortcuts, like simply using what comes to hand, just to get the job done. But it's the welfare of yourself, your workers and your business that is at stake. At SafeSmart Access, we understand the needs of many industries, but above all, we understand what is required in order to comply with safety regulations, from work platform to scaffolding safety. In the United States, OSHA (Occupational Safety & Health Administration) are set up to ensure that all worksites are safe, and that best practices on those sites are carried out in order to minimize injury or death. To make sure that you are complying with these regulations, you also need compliant equipment. This type of equipment resides at SafeSmart Access, America's premier place for portable yet robust height access equipment, work platforms, scaffolding and more. 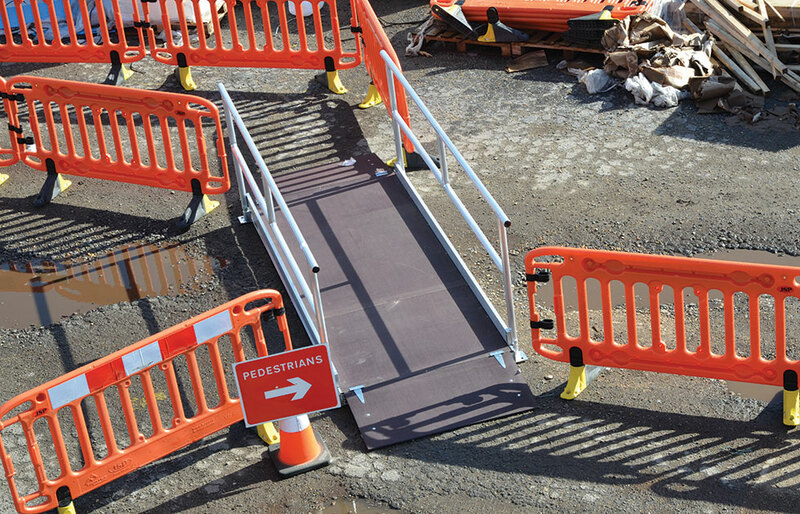 You can rely on SafeSmart Access for helping you to uphold your health and safety standards onsite. Whether you operate in aviation, defense, construction, manufacturing or transport, we know the ins and outs of safety in your business. In fact, it is these regulations that inform our designs. OSHA knowledge – all products are made to meet or exceed requirements put in place by OSHA, to protect you, your workers and your business. Custom design – don't let a lack of access to equipment that doesn't quite fit the bill affect your safety obligations. SafeSmart and our in-house team of designers can custom design, manufacture and install solutions that help your productivity as well as keep you compliant. Training – post-installation training is offered to all clients, to help your staff carry out best practices for product assembly, placement, maneuvering and balancing, to make sure that your activities are just as compliant as our solutions. Questions About Work Platform or Scaffolding Safety? Ask SafeSmart Access, America's experts in work platform and scaffolding safety, today.